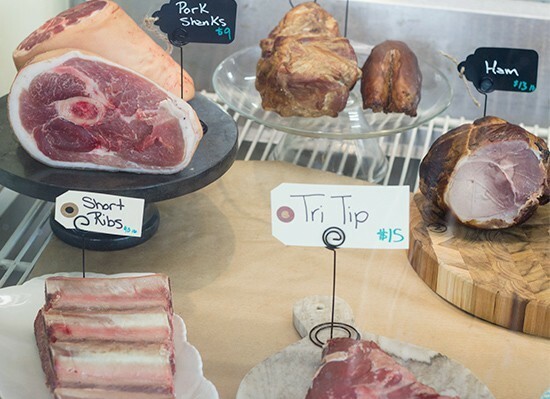 Bolyard's Meat & Provisions is less a meat market and more an homage to the animals who have become dinner. Owners Chris and Abbie Bolyard personally visit and inspect every farm they do business with, ensuring that it meets their rigorous standards for animal welfare and quality products. Chris Bolyard and his team apply that same care to butchering the meat, skillfully cutting it to order and making sure to utilize the whole animal. (They even sell body products made from tallow.) This translates to the freshest, most delicious meat you'll ever taste — beautifully marbled rib eyes, melt-in-your-mouth pork chops — and it will make you feel good about the entire process. This little corner of Maplewood is hog heaven. 2810 Sutton Boulevard, Maplewood, 63143. 314-647-2567, www.bolyardsmeat.com.